Planning a dinner. : The poster! 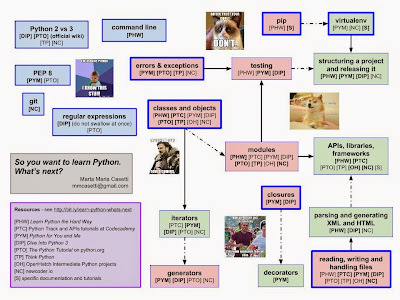 Finally, my poster for PyCon 2014! Follow the arrows to plan your excursions among the red (very important) and green (but do also this, sooner or later) topics. Solid arrow: you will need to know the first topic to understand the next one. Dashed arrow: the first topic could help you understand the next one. 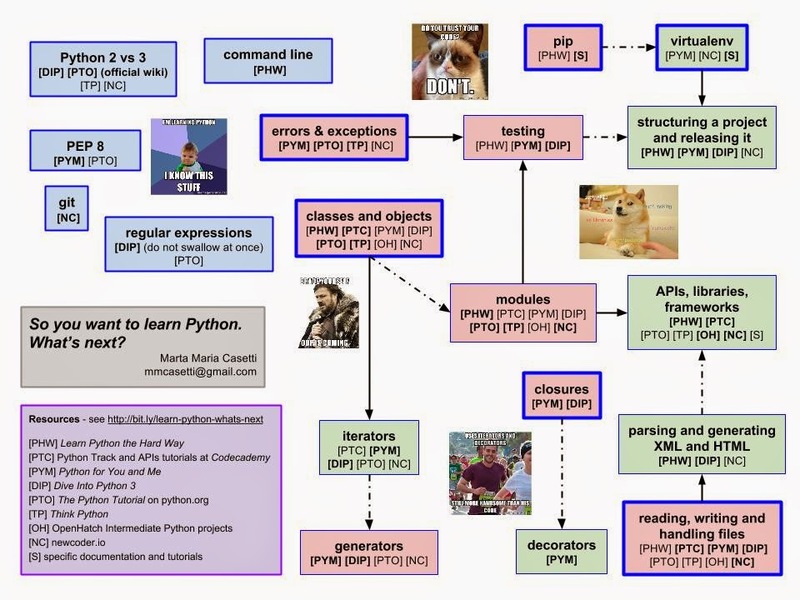 The blue boxes on the top left corner represent five useful topics that don't belong in a particular path; sometimes (command line, git, regular expressions) are not to be studied in one session - or maybe not even in consecutive sessions. Get there, but you will get there when you will get there. And yes, that's Grumpy Cat. My secret weapon. An official tutorial (and a gentleman). I did it my (hard) way.